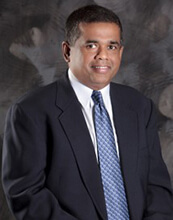 St. Mary’s University Marketing Professor Mathew Joseph, Ph.D., has been awarded the 2017 Lifetime Achievement Award by the Marketing for Higher Education Special Interest Group (SIG), within the American Marketing Association. Joseph serves as vice president of the Higher Ed SIG and is a founding member. The Lifetime Achievement Award honors a marketing scholar who has demonstrated distinct accomplishments and dedication to higher education in the marketing discipline, according to the website. Each year, Higher Ed SIG calls for nominations, and a thorough review is conducted by a panel of judges. Higher Ed SIG will present this award to Joseph at the AMA Summer Educators’ Conference Aug. 4-6 in San Francisco.